Udemy needed to build brand awareness and drive mobile app downloads. The company sent out device-targeted, animated email campaigns. Recipients who opened their email on iPhones and iPads, for example, received an animated GIF conversation notifying them about the app that looked like a text conversation with Apple’s distinctive chat bubbles. Recipients who opened their email on Android devices received a message with a GIF that looked like it was texted from an Android. 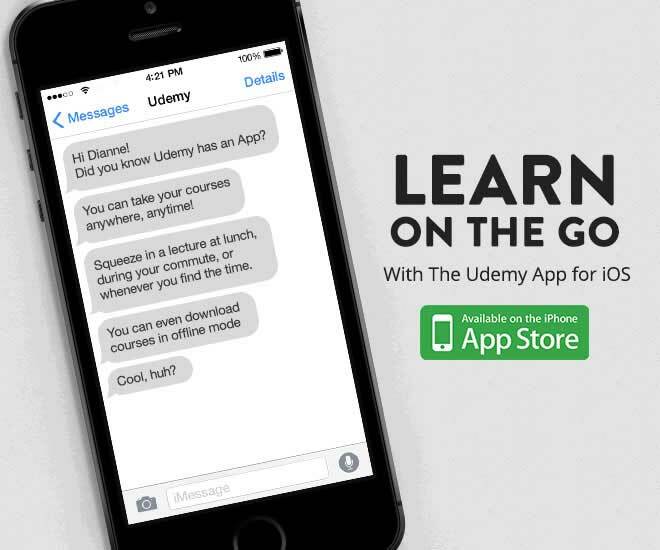 Udemy created an engaging campaign that captured their subscribers’ attention. They saw higher reopen rates and drove more downloads of their app. Udemy’s device-targeted mobile campaign helped drive higher reopen rates, ensuring that subscribers were more engaged with the content in the email and became much more likely to go on and download the app.